One of the most beautiful and iconic cities in the world, San Francisco is in a class unto itself. A city constantly on the cutting edge of technology, with a vibrant community, SanFran has a reputation of inclusiveness and progressiveness, both social and technological. Perhaps the most iconic place in all of San Francisco is the Golden Gate Bridge, closely followed by Golden Gate Park, with its vast pathways and museums. The city is home to some of the largest tech companies on the planet such as Twitter, Uber, Lyft, Reddit, and so many more. There are endless things to do, like going to the Alcatraz Prison museum, or strolling down fisherman’s wharf. San Francisco is an absolute playground, so come and check it out. Many of our San Francisco apartments feature beautiful pools, heated seasonally to ensure you can always take advantage of our beautiful California weather. 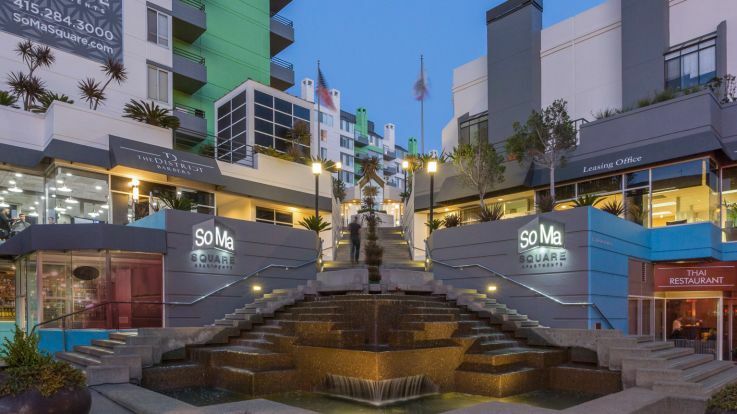 In addition, these apartments come equipped with easy to use in-home washer and dryer units, community arcades, and incredible views of the water. Our San Francisco apartments with pools simply can’t be beat for the utter luxury that we provide our tenants. We’re always ready to help with whatever you may need, and we’re always a call away. Check out our incredible apartments online and apply today!